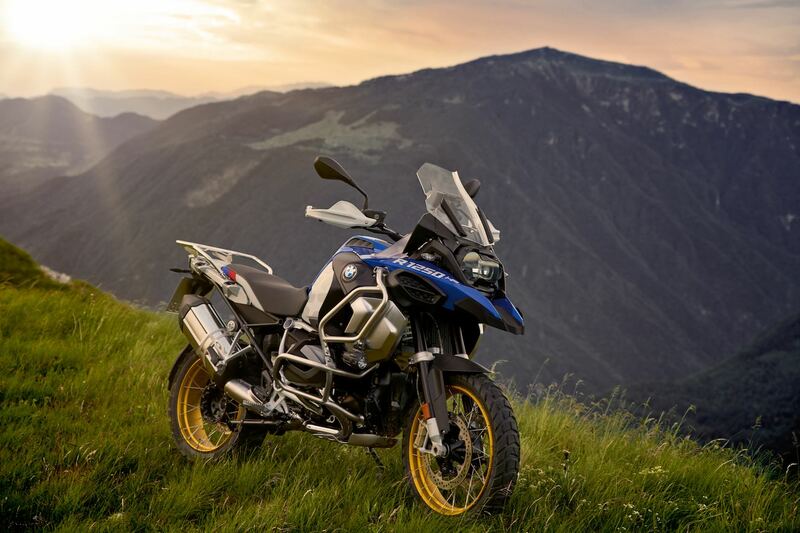 In traditional BMW Motorrad style, the Bavarian motorcycle manufacturer has released an “Adventure” version of its all-new R 1250 GS. The “GSA” takes the base R 1250 GS – unveiled in mid-September – and adds some tasteful extras to ramp up the adventure in adventure touring. What BMW does with these Adventure models is take the top-tier GS, and add more protection, a bigger gas tank and custom color options. We already covered all the updates to the new R 1250 GS here, so we won’t bore you with more details. Instead, we’ll cover the details and provide some photos of this beautiful ADV bike. Robust engine protection that covers upper radiator and the heads of the 136-horsepower 1254cc boxer engine. Added protection with a new radiator cowl and a cover on the oil intake snorkel. Bigger 7.9-gallon fuel tank vs 5.3-gallon tank on the base R 1250 GS.